14 Mar 2018, 9:43 a.m.
Chancellor Philip Hammond gave his Spring Statement yesterday afternoon in the House of Commons, with the mini-budget speech highlighting a reduction in national debt and suggesting government spending would increase later in the year as a result. His appearance at 12:30pm in the Commons saw the Chancellor speak for 26 minutes about the economic outlook for the United Kingdom for 2018 and beyond. Mr Hammond said there was “light at the end of the tunnel” as debt was expected to fall as a percentage of gross domestic product for 2018-19. Speaking to the chamber, the Chancellor called it “the first sustained fall in debt for 17 years, a turning point in the nation’s recovery from the financial crisis of a decade ago”. The BBC point out that this reduction in debt as a percentage is actually still a growth as a total figure, but even this reduction may be enough to reassure the markets that debt is not a threat to the UK’s economic stability. Citing figures from the Office for Budget Responsibility, Hammond said the level of inflation is set to drop to 2% by the end of 2018, with growth up by 0.1% to 1.5% forecast for the year. The Chancellor reported that real-term incomes would grow from this and show improvement by March 2019. 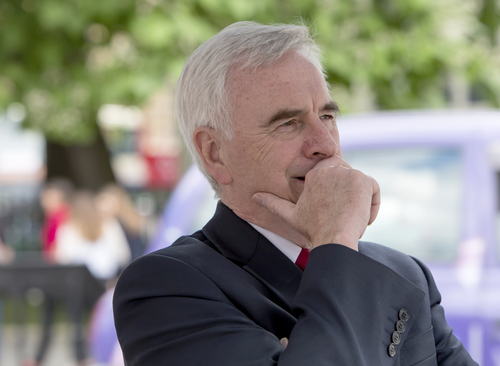 Philip Hammond was challenged on austerity by the Shadow Chancellor, John McDonnell, having said there would be no immediate end of the fiscal policy. In a direct quote from Mr McDonnell in the Commons: "Does the chancellor really believe the NHS can wait another eight months for the lifesaving funds it needs? How many people have to die waiting in an ambulance before he acts?" Labour’s response to the Conservative statement was highly critical of austerity and the subsequent continued cuts to public spending, calling it “a political choice not an economic necessity". The opposition benches cited statistics from the OECD – Organisation for Economic Co-operation and Development – which state that the UK’s economy will grow at a slower rate than any other advanced or emerging nation this year, despite an improved growth forecast. It wasn’t just the opposition benches that felt the lack of spending was inappropriate either, with some of Mr Hammond’s colleagues also calling for additional funds for services. Tory MPs Gary Streeter and John Redwood both argued for more investment, saying the government could afford to be “more generous”. In response to criticism from the Labour benches, Philip Hammond described the opposition party as ‘eeyores’ – referring to the children’s book Winnie the Pooh. "If there are any Eeyores in the chamber they are over there” said the Chancellor. “I meanwhile am at my most positively Tigger-like today, as I contemplate a country which faces the future with unique strengths." The OBR papers also confirmed the final amount to be paid to divorce EU via Brexit will be around €41.4 billion (£37.1 billion). 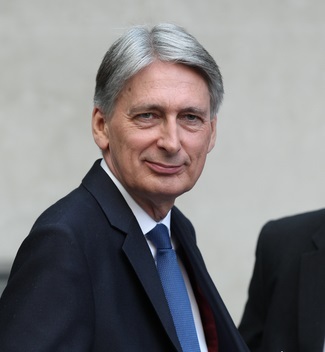 Mr Hammond is now expected to proceed with consultation plans for tax cuts on least polluting vans, taxes on single-use plastic, a tech tax, and plans for the future of cash & digital payments (inc. online tax payments) and report back on these at the Autumn Budget.